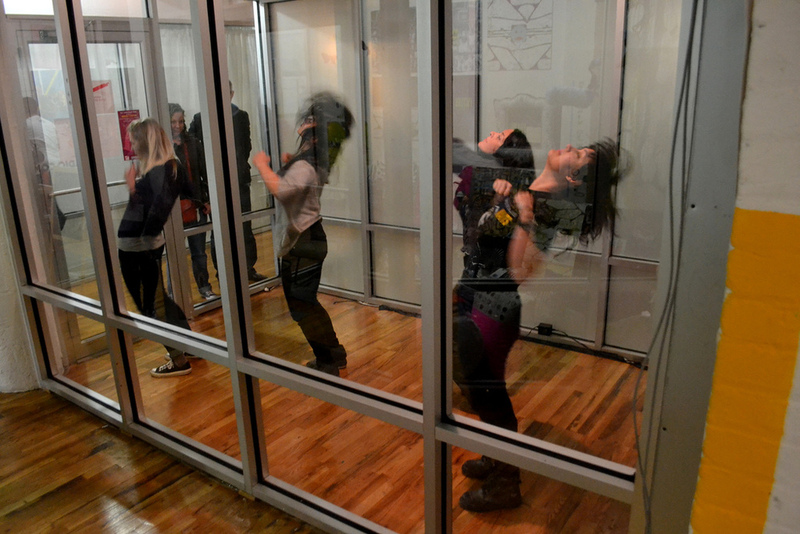 This residency offered six choreographers the opportunity to create site-specific work over two months at the Preview POD: a shop transformed into a space for artistic exploration and presentation. 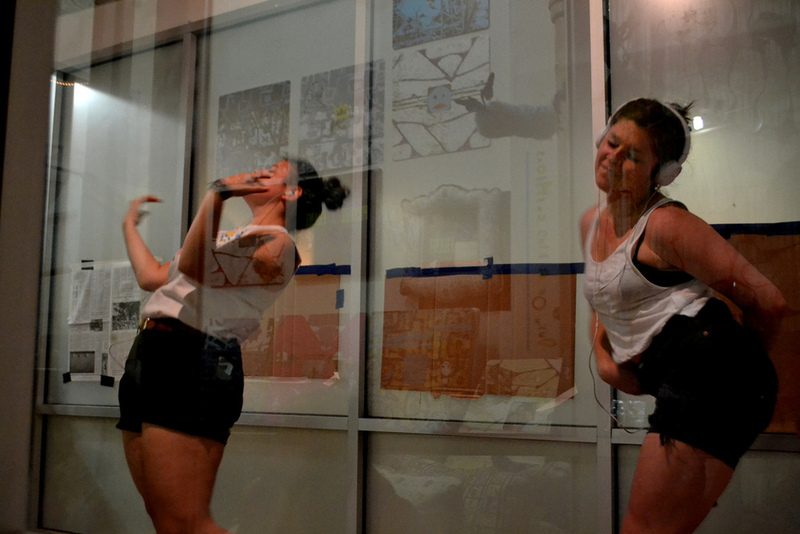 The residency culminated in six performances, each featuring the work of two choreographers. The choreographers were given the freedom to develop their works both in our shop and the surrounding maze-like hallways. 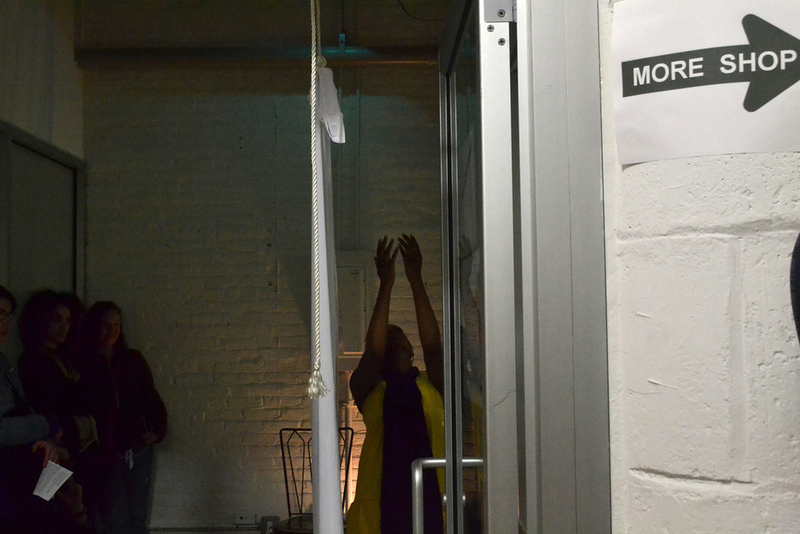 They were encouraged to play with audience placement (in and around the shop) as well as audience participation. Melissa Alexis (see left image and below) chose to place her audience in different locations each time she performed. 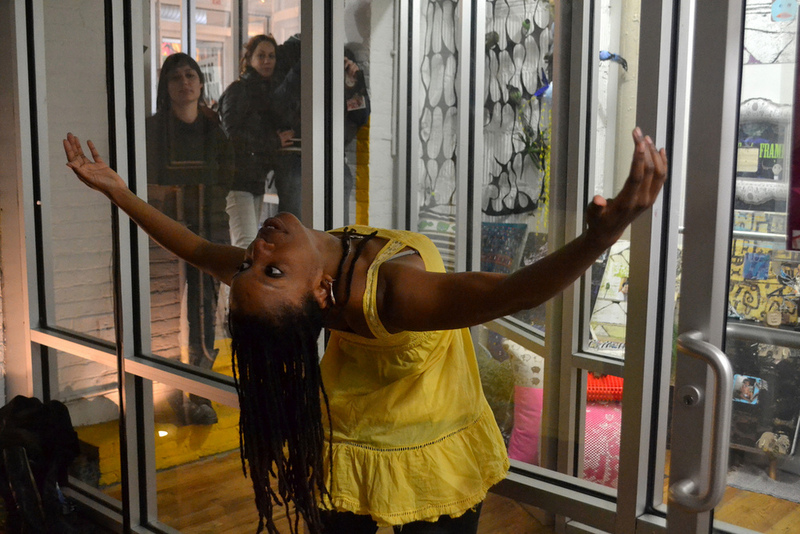 Each of the six performances of the site-specific works created for this 8’x12’ shop attracted an audience of 12-28 people that included invited guests and others who stumbled upon our shop while exploring this indoor galleria- style art and shopping center.